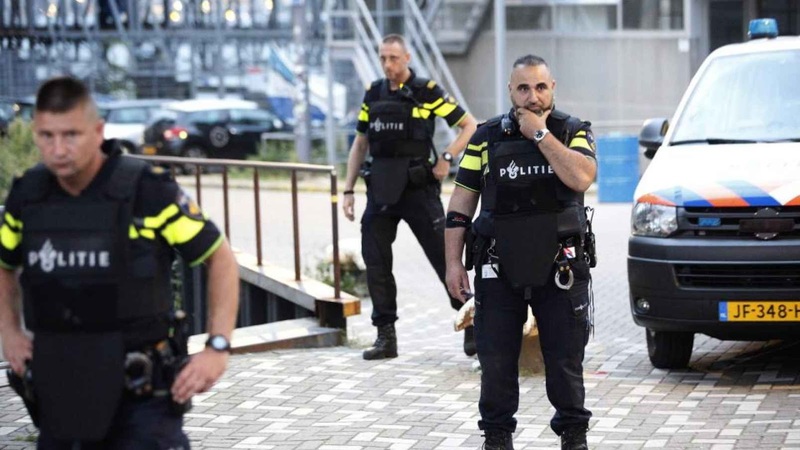 Authorities in the Netherlands foiled an apparent Muslim terrorist plot to attack a concert venue in Rotterdam while an American rock band with an Islamic-sounding name was performing there. 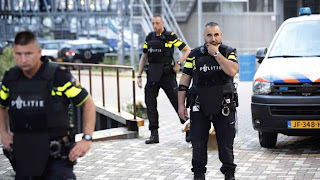 After being tipped off by Spanish police, on Wednesday Rotterdam police and counter-terrorism personnel located a van near the Maassilo venue bearing Spanish license plates and that reportedly contained “gas bottles.” The driver, a Spaniard, was detained, after he was observed by police going to and from the concert site repeatedly. About 120 gas canisters were found at the suspected lair of the terrorist cell that used a rented van to mow down pedestrians last week in Barcelona, Spain. The night before the August 17 vehicular attack, two members of the terrorist cell are thought to have inadvertently blown themselves up in Alcanar, Spain, possibly while preparing terror materiel. At least 15 people were killed and 130 injured in a series of attacks by the cell. It has since been claimed that the 12-strong terror cell planned to rent three large lorry-type vehicles, pack them each full of butane gas and TATP plastic explosive, and drive them into busy hotspots in Barcelona city. One van was to be driven into the Sagrada Familia, another was to be detonated on Las Ramblas, and the third was going to be blown up in Barcelona’s port area. Of course, the foreign-born Muslim mayor of Rotterdam urged people not to connect the dots. Ahmed Aboutaleb told a presser that there was no proven connection between the Spanish tip and the van. "We should not draw conclusions too fast." The ring that the police set up around the (concert hall) led to the detention of a bus with gas bottles. It would be wrong at this moment to pile up these facts and conclude: thus there was a plan to attack with gas bottles, et cetera, because that was the picture last week in Barcelona. I would be careful with that. Whether the bus with gas bottles can be linked to the threat, that cannot now be established. Not that the judgment or public pronouncements of Aboutaleb, a Muslim immigrant of Riffian Berber ancestry who was born in Morocco and is a Dutch-Moroccan dual citizen, can necessarily be trusted. Aboutaleb’s lax approach to Muslim terrorism is hardly uncommon on his continent. National and sub-national governments in European countries generally range from being partly to wholly in denial about the Islamofascist threat as they bend over backwards to appease their enemies and not be smeared as Islamophobes. Islamists themselves are increasingly targeting music venues. Islamic State claimed responsibility for the bombing of the Ariana Grande concert in Manchester, England, on May 22 that claimed 22 innocent lives. Four men shouting “Allahu akbar” burst into the Bataclan concert hall in Paris on Nov. 13, 2015, as part of a coordinated, simultaneous assault on various sites around the French capital. A total of 130 people were killed in Paris, including 89 at Bataclan, and more than 300 were injured around the city. The band performing at the Bataclan was the Palm Desert, California-based Eagles of Death Metal. England has been a hotbed of Muslim terrorist activity, with at least three deadly, mass-casualty events so far this year. Apart from the Manchester bombing, on March 22, a car was driven into pedestrians on Westminster Bridge, London. Five people lost their lives and almost 50 were injured. On June 3, men in a van drove into people on London Bridge, crashed, and then stabbed other people at Borough Market. The end result was 8 dead and 48 injured. France has also been heavily targeted by Islamists this year. On Feb. 3, there was a machete attack on a soldier at the Louvre in Paris. On March 18, a man was killed when he tried to seize a police officer’s gun at Paris Orly Airport. On April 20, police were fired on at the Champs-Élysées. Islamic State claimed responsibility. On June 6 a police officer was attacked with a hammer outside Notre-Dame Cathedral. On June 19 there was a car ramming attack on a police vehicle at the Champs-Élysées. The attacker claimed allegiance to Islamic State. On August 9, a car was driven into soldiers in Levallois-Perret, Hauts-de-Seine, injuring six. Elsewhere in Europe so far this year, there was the April 7 truck attack in Stockholm, Sweden (5 dead, 14 injured) and the July 28 mass-stabbing at a supermarket in Hamburg, Germany (1 dead, 6 injured). On April 3 there was a suicide-bombing on public transit in St. Petersburg, Russia, with 15 victims killed and 87 injured. An al-Qaeda affiliate claimed responsibility but a security service blamed Islamic State. And there is still a little over four months left in 2017.